Shark Tank is one of the most popular television shows today for entrepreneurs and their families. Since day one, I have been a big fan. Like major league sports, everyone has their favorite shark. I have a couple and Robert Herjavec tops my list. Is it the fact that he races Ferraris or dates Dancing With The Stars dancers? No, but that doesn’t hurt. I have met Robert a few times via my good friend, Robin Robins, founder of Technology Marketing Toolkit. She brings in business super stars like Robert to speak at her high level coaching meetings. Last week she brought in Robert’s co-founder in The Herjavec Group, his Senior VP of Sales, George Frempong. George has taken The Herjavec Group, a cyber security firm, from zero to $150 million dollars a year in sales with his forty person sales team. Regardless of what you’re selling, $150 million dollars is a lot of sales. From the minute I met George in the hall before his presentation, I was impressed. He is very well spoken, looks you in the eye and dresses like he popped out of the pages of GQ. So what can you learn about selling more catering from a $150 million dollar a year cyber security company? 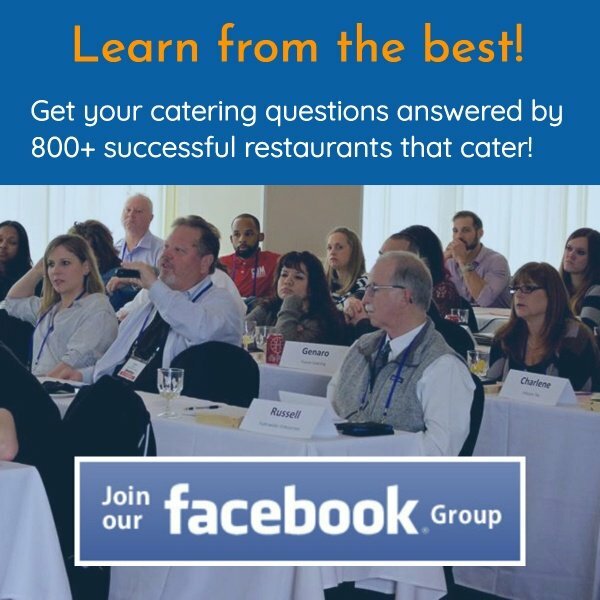 Hint: Every successful company or businessperson has lessons you can apply to catering. You just have to be on the lookout and ask yourself how to apply the lessons. The first takeaway was the size of company The Herjavec Group targeted with their services. They sell to companies with a thousand or more computer terminals. In other words, they are running with the big boys. I know many tech companies targeting the ten to one hundred PC market, but a thousand terminals are big leagues. My sharpest clients have used the Top 100 strategy with even greater success than me. Let’s face it. It takes no more effort to land a company picnic for a thousand guests than one for a hundred. You could argue it’s easier. The second big takeaway is your brand or positioning. I’m not going to candy coat it here. I am referring to how you look, dress and speak. Whether you want to accept it or not, everyone is prejudiced. We judge people before the first word is uttered. How does their marketing make us feel (menus, email signature lines, website, etc)? Do you feel you’re dealing with a mom and pop or a company you have confidence in to do the job? If I compare George to all of the people in the audience at Robin’s event, he stands out as a Fortune 1000 salesperson. He has the image, walk and talk down right. A thousand-dollar suit may not be a fit for most of Robin’s clients or for you selling catering, but you know how you need to dress to impress catering prospects. What you say and how you say it is equally important. Are you a good listener and problem solver? Do you instill confidence in your prospects? My last takeaway from George was a big one for the tech companies in the audience. When the Herjavec Group started, they had a large Rolodex of contacts from a company Robert Herjavec had just sold. Their first year revenue goal was five million dollars. They ended up doing just four hundred thousand. It was a major disappointment. It turned out they approached their prospects with pretty much the identical service offered at the company that was just sold. Most of them were happy with their solution. They decided to re-engineer their market strategy. They decided to re-approach their connections with a different cyber security product/service. That opened a lot more doors. Once they were in with a company, they went back and cross sold them other services. So how can that help you? You may not win the chance to cater the company holiday party for seven hundred employees, but maybe you can get your foot in the door with drop off catering. If you’re good at closing larger events, you may have an opportunity to go in and sell them on using you for other large events or even their day-to-day corporate drop-off. The final lesson from George? It’s all about selling. George doesn’t even know about using direct mail or multi-step prospecting like we offer in our Sales Tempo tool. His sales team just wears out the phones. They focus on selling first, then servicing. If you want to be a million-dollar caterer, you must give selling a place at the adult table. 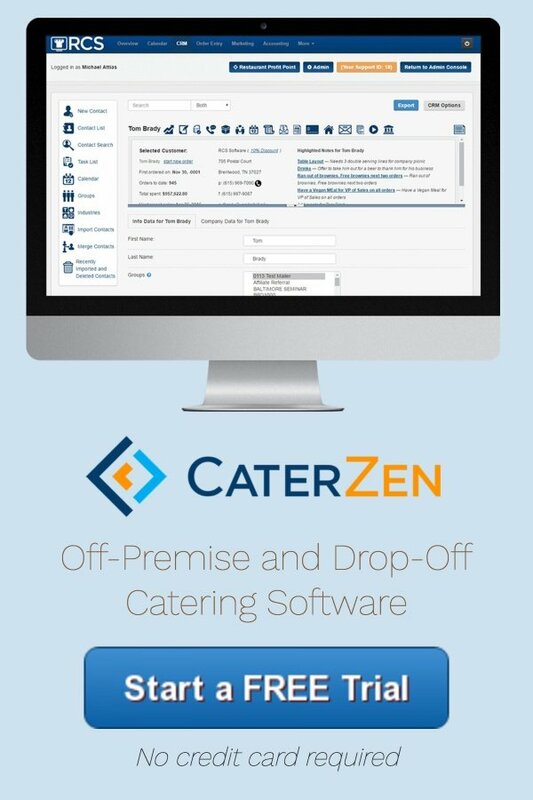 In fact, a good first step is to make plans to send you and your team to Caterpalooza: An Extraordinary Catering Conference for Restaurants.